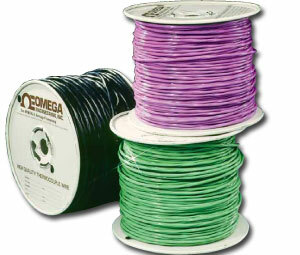 OMEGA™ duplex extension grade thermocouple wire performs continuously at temperatures to 105°C (220°F). The wire’s flexibility permits installation in conduit and wiring trays, and it is easily stripped by hand or using mechanical methods. Insulation is PVC. The wire is UL listed for Power Limited Tray Cable (PLTC) applications.